A north Queensland mother charged with manslaughter after her two young sons drowned in a river has been refused bail and remanded in custody. Leeann Eatts, 47, appeared in the Townsville Magistrates Court on Saturday morning after being arrested and charged on Friday. 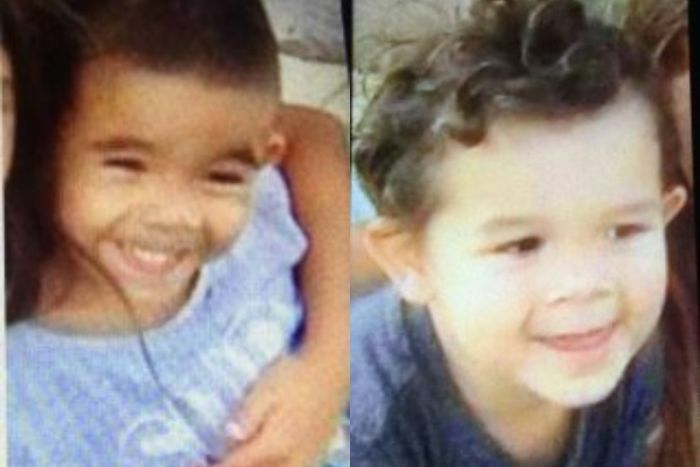 The bodies of three-year-old Jhulio Sariago and five-year-old Barak Austral were found in the Ross River in Townsville in February. They had gone missing late in the afternoon on February 25 and police issued an amber alert six hours later when they had not been found. Their bodies were pulled from the river the next morning after a desperate community search involving 100 people and a helicopter. In court this morning, Magistrate Peter Smid said the safety of Ms Eatts and the community could be at risk if she was released. Police prosecutor Kellie Mythen said officers had received 156 statements related to the case. Speaking yesterday after Ms Eatts’ arrest, Detective Senior Sergeant David Miles said police will allege the boys’ deaths were a “preventable tragedy”. “This is something that should have never happened,” he said. Ms Eatts is also facing a range of other unrelated offences, including drug trafficking. She is due to face court again on May 17. Outside court, Townsville Indigenous elder Gracelyn Smallwood said she believed Ms Eatts and the boys had been visited by the Department of Child Safety. “We are all shocked,” she said. She said an investigation was needed into how many times department officers visited Ms Eatts. “If DOCS had done their job by regularly checking on the welfare of the children, this too could have been avoided,” Ms Smallwood said.